Rendering of a proposed iFresh store, slated to open next year in Carle Place. 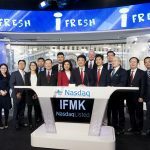 Photo Credit: iFresh Inc.
Asian-American supermarket chain and online grocer iFresh will open its first store on Long Island next year. 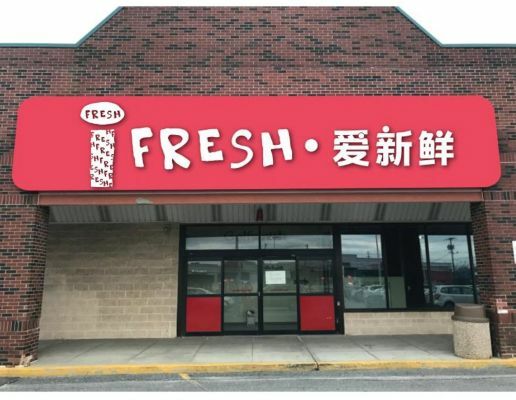 iFresh Inc., a Long Island City-based chain, will open a 22,859-square-foot grocery store at 192 Glen Cove Rd. in Carle Place, replacing a former Golfsmith store. The store is slated to open in the first quarter of 2018. It will employ about 30 people, a company spokeswoman said Monday. 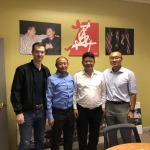 The company is expanding on Long Island to meet the increasing demand for specialty Asian produce, seafood and other groceries that are not found in mainstream supermarkets, company officials said, adding that the purchasing power of Asian-Americans has been growing rapidly. The new store will offer a selection of Asian goods, including food, beverages and household items. The store will also provide fresh produce daily and popular Japanese snacks. It will offer home delivery through iFresh’s online e-commerce platform. iFresh, formerly known as New York Mart, was founded in 1995. The publicly traded company was listed on the Nasdaq stock exchange in February 2017, under the ticker symbol IFMK. iFresh stock was up 4.3 percent to $13.77 in midday trading. The company currently has eight stores in Manhattan, Brooklyn, Queens, Boston and Sunrise, Florida. It plans to open another location in Orlando, Florida. Last year, Asian-American supermarket chain Hmart, based in Lyndhurst, New Jersey, opened a 60,000-square-foot store at 336 N. Broadway in Jericho.